This indica-dominant strain is a good choice for those seeking to treat serious pain without the extreme sleepiness associated with some pure indicas. Kryptonite features a musty tropical fruit smell and a sweet, sugary flavor reminiscent of Cinderella 99, one of the parent strains to Killer Queen. 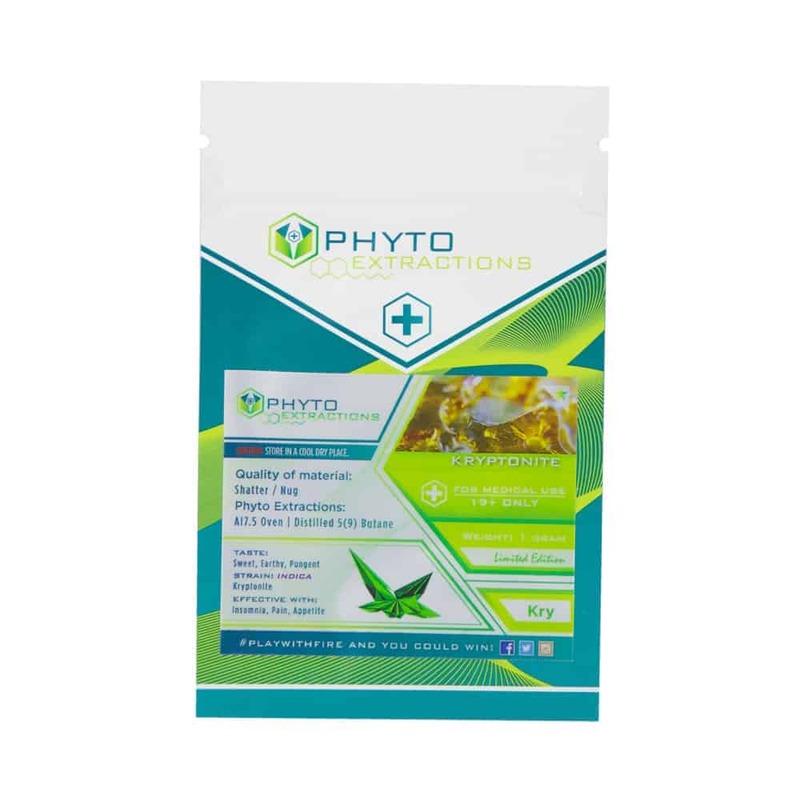 3 reviews for "Phyto – Kryptonite – Indica Shatter"
Great taste, awesome buzz…definetly as advertised!! Hard hitting buzz! Works great for insomnia for me.